Since the 1950s, a rumor has circulated that killing a praying mantis carries a fine. 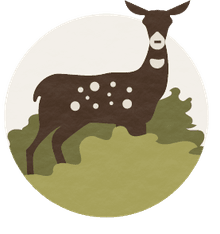 Killing a creature that looks as though it is on its knees praying may sound illegal, but although cruel, it isn't against the law. Mantises are not protected by law, nor has there ever been such law or statute at the federal, state, or city levels in the United States. There are no penalties other than in folkloric traditions from many millennia past. The insect, scientifically known as a mantis or mantid, seems to charm even the most bug-hating of people. The "praying" modifier was added by people over time. It has large, raptorial front legs folded as if in prayer and a triangular head with almost inquisitive, bulging eyes that swivels to watch passersby. The praying mantis appears to have a human quality to it. Although they are erroneously considered to be stick insects or closely related to grasshoppers, they are not. The closest relatives of mantises are termites and cockroaches. Mantises were considered to have supernatural powers by early civilizations, including Ancient Greece, Ancient Egypt, and Assyria. Females of the species are considered to be femme fatales, sometimes practicing sexual cannibalism by eating their mates after copulation. Although it is tough to determine the actual origin of the rumor about fines and mantis murder, one could take a few guesses. 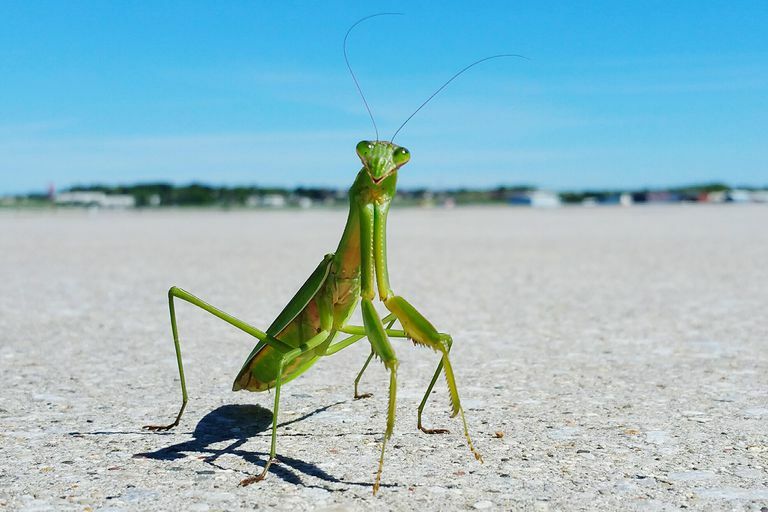 Gardeners have long considered the praying mantis to be a beneficial insect, because mantids consume many other insects that destroy crops, thereby lessening the need for pesticides. So those who work the land would definitely be in favor of mantis protection and punishment of offenders—and could believe it would figuratively be a crime to kill them. One thing about mantises, though, is that they do not discriminate. They eat all insects, those that are harmful and beneficial to crops. Another potential reason for the rumored penalty for killing mantises is that over the millennia there has been a great affinity for the insect. Killing the insect in the ancient world may have been verboten. The mantis was considered a god in southern Africa for its praying posture. The word for the mantis in Afrikaans is Hottentotsgot, which means "god of the Khoi." The ancient Greeks felt the mantis could show lost travelers the way home. According to ancient Egyptians, the "bird-fly" is a minor god that leads the souls of the dead to the underworld. In ancient Assyria, the mantis was considered a necromancer and soothsayer. Two Shaolin martial arts were separately developed in northern and southern China that have movements and fighting strategies based on those of the mantis. The Northern Praying Mantis style is the oldest, dating back to the Song or Ming Dynasties, circa CE 900 to 1300. It is a little-known praying mantis fact that of the insect world, mantises are among the bugs most widely kept as pets. Because the lifespan of a mantis is only about a year, people who want to keep mantises often breed them. Two mantids are listed as official state insects: the European mantis in Connecticut, and the Carolina mantis in South Carolina.